My Students LOVE our Bouncy Bands! Over Winter Break I had two Bouncy Bands delivered to my doorstep. Since my own son was diagnosed with ADHD, I've been on the look out for tools that would help my students as well... I was so excited to try the bands too! Anyhow, the two bands were delivered and then I realized I had a huge problem! Every single person in my class wanted to be the first one to use them. I couldn't just give them to the kids that have ADHD (and there are many in my class), I needed to let everyone try them. So I started a rotation... and now all 32 of my students have had a chance. They LOVE them. They say they are comfortable, my fidgeters aren't fidgeting as much, and we are able to tackle our standards. The kids that tend to get up a lot (to get a tissue, sharpen their pencil, throw away trash, etc) are able to sit longer when it was their turn to use the bands. I'm impressed. The bands come with 2 heavy plastic tubes that slip onto the front desk legs. Before you slip them on, you loop the extra thick rubber band onto the tubes (there's an indentation to keep the band in the perfect place). Sliding the tubes onto the desk wasn't hard, what was difficult was having to lay down the students' full desks (without tipping all their supplies out). That first switch the kids tried to "help" by tipping their desks forward thinking that I could easily slide them on and off, which made all their supplies go flying. It was a lesson on common sense. :) That's only an issue because I only have two of these beauties and wanted to be fair. Of course I got the brainstorm (after the fact) that I should have created 2 VIP desks where the bands stay put and the kids have the special throne for the day. That's what I'm trying this next round. Two extra desks that are equipped with the bouncy bands and a tub of supplies that they won't have to share for their special day. I really want to also create a Donors Choose project to get more of these into my classroom (a class set would be ideal). 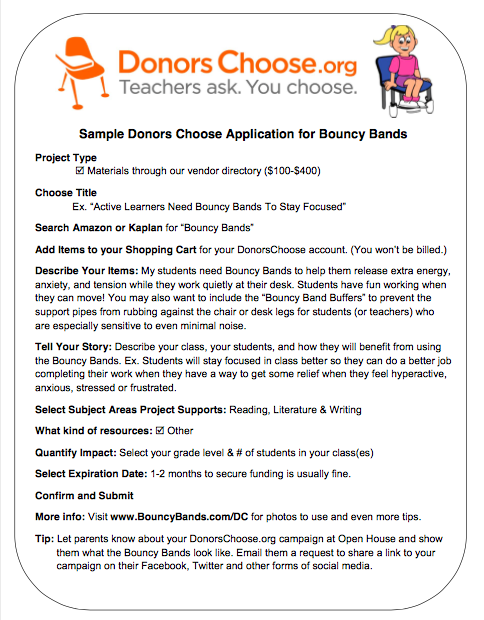 I checked out the Bouncy Bands website and found they have a Donors Choose Sample Page that will make it really easy & fast to upload the project. That's on my to do list. 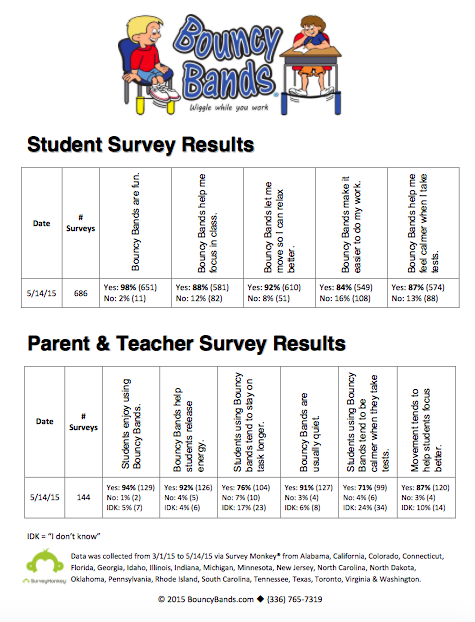 On their website I also found this data, which confirmed what I found in my own classroom. It's an absolutely wonderful product, and I'm so glad that I learned about them. Anyone have a class set? You know what I'm talking about! 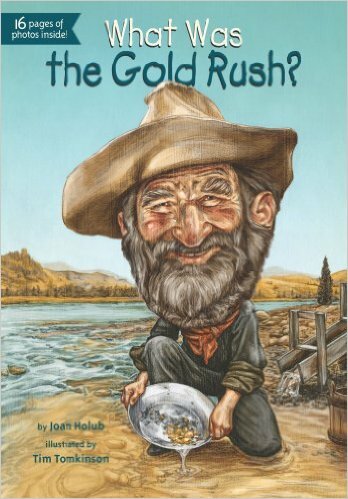 1) Do you teach about the Gold Rush? 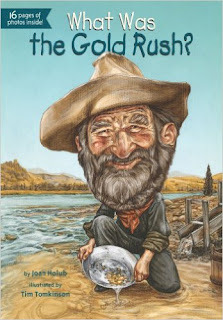 2) Have you read this book? 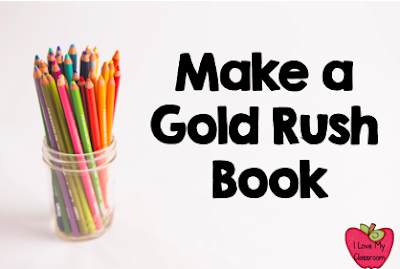 It's a nonfiction book that is full of interesting facts that keep the kids engaged while learning. Last year was the first year that I brought it into my classroom, and this year I picked up a class set of the books from Scholastic. My very smart teammate came up with this paper bag book activity for the kids, full of hidden compartments and secret flaps for kids to write on. It takes 4 white or brown lunch size paper bags - they are crisscrossed back and forth, always with the bottom of the bag facing up (plain front, flat side down). Just layer them and then fold/staple to form a book. Then fold in half. I stapled. My friend hole punched and tied with yarn. The pages go along with the pages in the book. It's a lot of summarizing and adding different interesting facts to the pages. My kids actually BEGGED to do this every day! P.S. 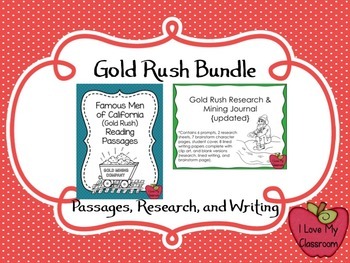 - Need some Gold Rush Resources? A couple of months ago my school had these mini workshops where teachers could share what was working great in their classrooms. We were given the opportunity to visit classrooms, and choose what we wanted to learn more about. It was awesome and productive! My fifth grade colleague shared about Flocabulary. It was the first time I'd ever heard about it and I got so excited about the options available. I signed up for a short term membership and emailed my administration that I was interested in a school membership. Let me back up... What is Flocabulary? 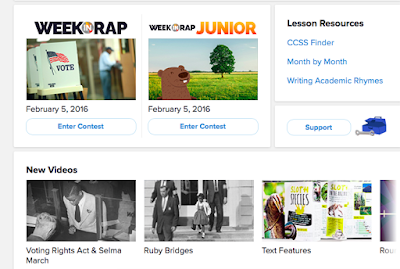 It is a collection of lesson resources with TONS of Songs and Videos. It is perfect for my upper elementary kids. They have raps and songs for everything under the sun, and they are adding more every day. 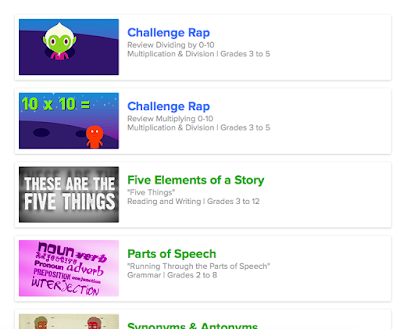 At first being on Flocabulary was like a treasure hunt. I kept finding more and more things for my list of favorite videos. Yep, that little gold star is my collection of Favorites. I was able to make a menu so it really is easy to pull up exactly what rap I want the kids to hear. taking their Thursday Math Fact tests. It's a win when kids are excited to practice their facts! Here's a short clip of the kids watching the challenge rap. It's interactive! The kids love to sing along to the raps on all the songs - the words are on the screen. Something that I didn't know about right away was the Week in Rap, Week in Rap Junior, and the New Video portion located at the bottom of the home screen. I get so focused on my favorite list that I sometimes forget to scroll down to the bottom of the page. Thankfully, Flocabulary sends me email updates with the highlights. This last week there was a fun groundhog video that was perfect on Groundhog Day. 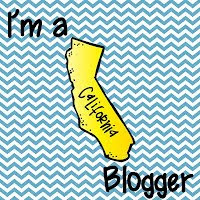 I just wanted to share how awesome this resource is! 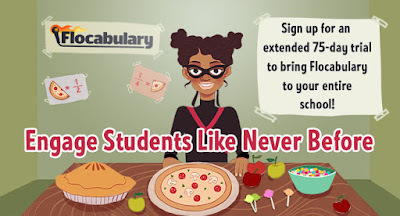 Flocabulary found out that I am a teacher blogger, so they offered to give YOU an extended 75 day trial so you can also see how great it is. Click the link below to see for yourself. Sign up between now and the end of February!